Thanks for the info- the Crinoid Tree of life on Prof Ausich’s page is one I’ll refer to students. Thanks, Bob. I love that phrase: “geo out”! I just learned that the iPad can be used to take images of thin sections (even in crossed polars with polarizing film). Since the iPad is so portable, an iPad thin section library would be a useful reference for lab. I’ll try it, Meagen. How cool will that be?! I love this! 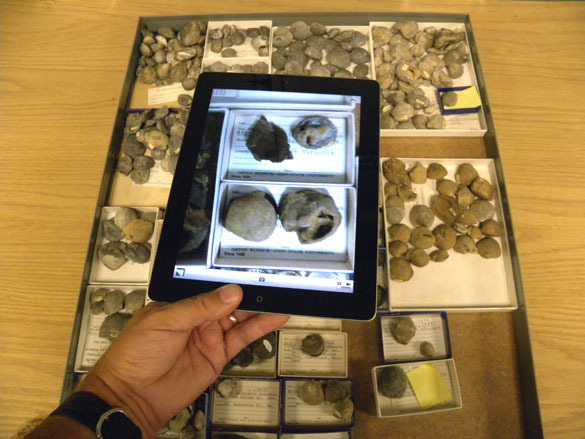 I’ve been thinking of ways to use iPads to quickly catalog, photo, and barcode specimens here at NMNH. This approach is time consuming and expensive especially considering the enormousness of the Paleo collections. There are pros and cons to both low quality and high quality imaging approaches. In your opinion, would having specimen images like yours above be just as beneficial to your research as higher quality images? 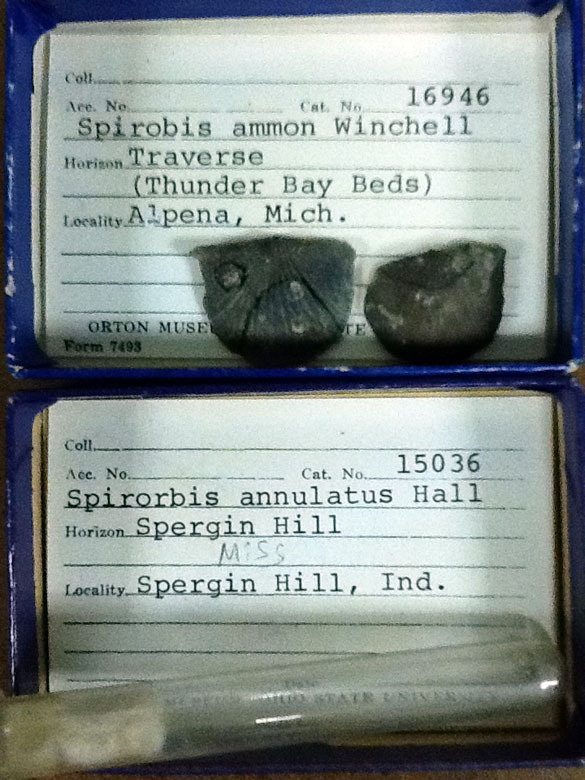 Does it matter that you took them and not someone unfamiliar with the specimens?